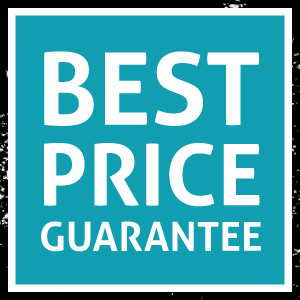 You will get the best price in all hostels displaying the adjacent logo. Guaranteed. Thanks to direct sales, the prices here on our own website are the lowest we can offer to our guests. Our group prices are an exception to this. In other words, no booking portal will offer prices lower than on our own website….fact!!! These hostel / hotel booking portals take a commission of 12-15% of the total price from the hostels and hotels. The hostels that do accept such bookings end up with only a portion of the amount they have actually calculated. This is not generally a problem for a few bookings in a given year. However, in recent years, the number of reservations through such booking portals has increased dramatically. As a result, a typical, midsize hostel/hostel may pay between 15,000 to 50,000 € per year in commissions. Coupled with the already low prices being charged for a bed in hostels, this is a big problem. Hotels/Hostels are continually being hit with higher commissions, i.e. 12-15%, by these booking portals. So, in order to not lose money, the price of a bed offered on such a site must be increased. In other words, the same bed will often cost more when booked through one of these portals than when booked directly through the hotel/hostel.